Deer, turkey, squirrel, grouse, bear, quail, woodcock. 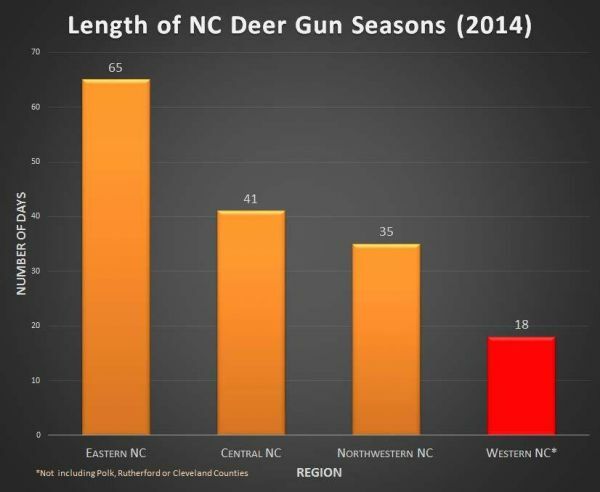 The NC Wildlife Resources Commission needs 30 deer tongues from the old Pisgah National Game Preserve for a DNA study. Wildlife Habitat Management Workshop - August 8. Sandy Mush Game Lands, Buncombe County. Hosted by the QDMA Southern Appalachian Branch and the Western Carolina Quality Deer Management Program. 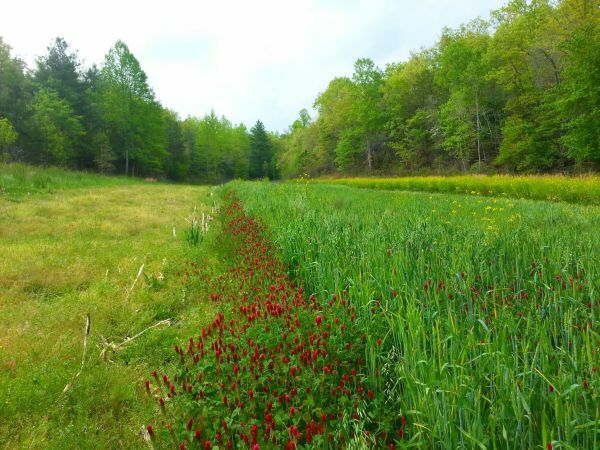 Topics include deer habitat requirements, improving forest habitats for deer, early successional habitats, native warm season grasses, food plots, NCWRC technical assistance available to landowners, and the N.C. Tree Farm Program. A partnership with the N.C. Wildlife Resources Commission (NCWRC), Sustainable Forestry Initiative, University of Tennessee Extension, WNC Wildlife, and the NC Sustainable Forestry Initiative State Implementation Committee, the workshop is geared towards deer hunters and landowners interested in wildlife habitat development. 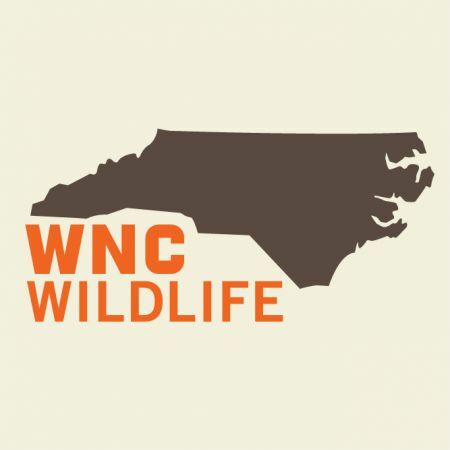 NCWRC Burnsville Wildlife Management Crew and biologists will lead a tour of Sandy Mush Game Lands, one of the top rated game lands in western North Carolina. The Forest Service needs to hear from HUNTERS that hunting and wildlife are important. 1) Support active forest management to improve habitat for wildlife - more early successional habitat, prescribed fire, and mast bearing trees. 2) Support Management Areas 1 and 2. This is where wildlife habitat improvement activities are allowed. 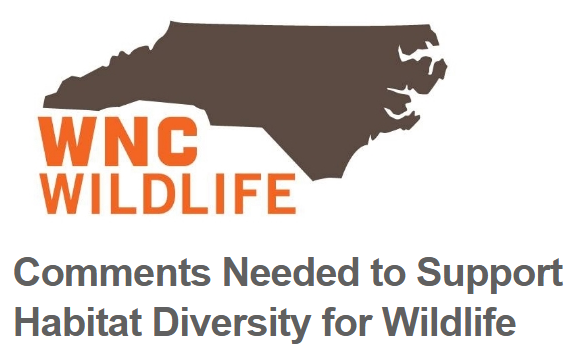 3) Support the habitat recommendations of the North Carolina Wildlife Resources Commission. We hope the hunting community will band together and support each other. Please email the Forest Service to support hunting and wildlife! 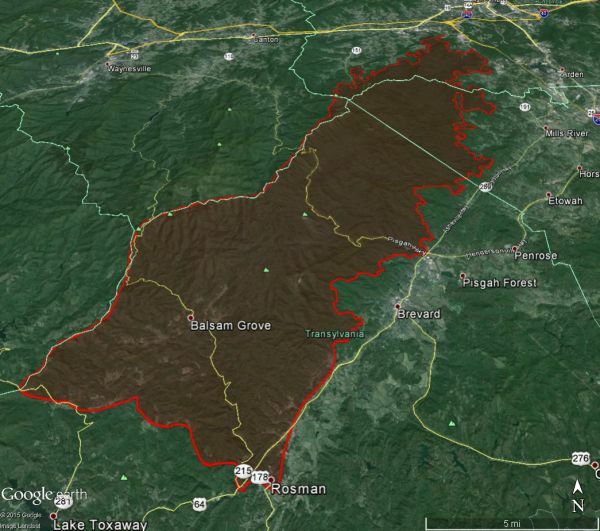 RALEIGH, N.C. (Nov. 24, 2014)  The N.C. Wildlife Resources Commission is joining other organizations in supporting the proposed management areas unveiled by the U.S. Forest Service for the Nantahala and Pisgah National Forests, located in western North Carolina. Young forests and brushy areas are in short supply on the national forests and, as a result, many species that need these areas to breed or to obtain food are in decline. These young forest areas are listed as a priority habitat in the Commissions Wildlife Action Plan. The proposed management areas provide options to create young forests as well as provide for other types of habitat needed for wildlife. 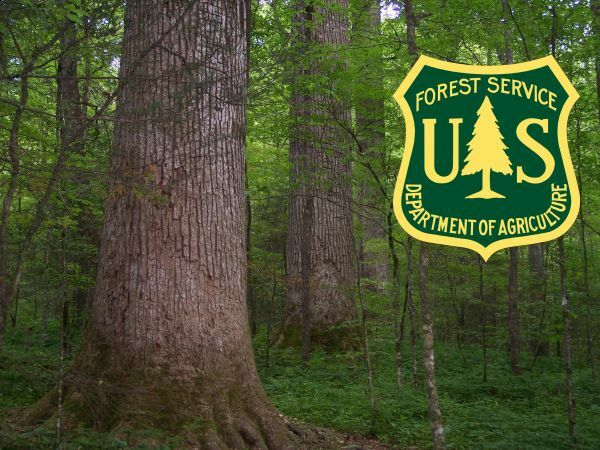 For nearly a century, the USFS has been managing national forests, restoring once cut-over lands with the goal of improving the health, diversity and productivity of forest ecosystems  a goal that Warburton says the USFS has exceeded. Everyone who enjoys or supports wildlife, such as sportsmen or bird watchers, is encouraged to support the proposed management areas that help conserve wildlife diversity, interior forests, and connections between habitats, Warburton said. 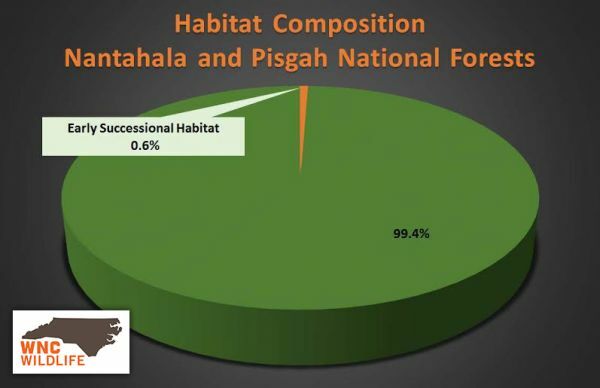 We previously encouraged all NWTF members to get involved with the revision of the Nantahala and Pisgah national forests Land and Resource Management Plan. While the first meeting stage of the process is complete, comments and other input will be accepted until mid-December. It is still early in the process so now is the time to have the voices of sportsmen and conservationists heard. 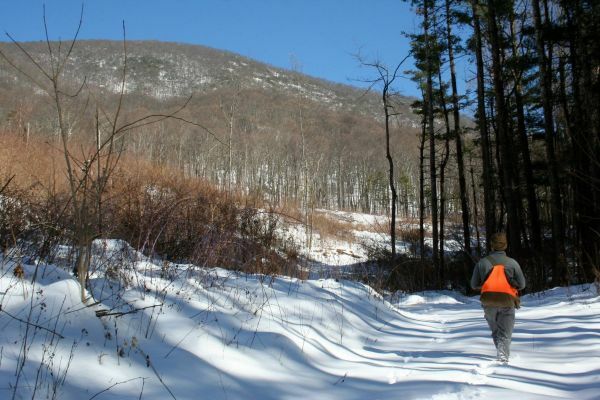 Ensure conservation efforts focus on golden-winged warbler, cerulean warbler, wood thrush, ruffed grouse, white-tailed deer, wild turkey, elk, woodcock and diverse bird species. For more information about plan revision, visit www.fs.usda.gov/goto/nfsnc/nprevision. The 1987 forest plan, as amended, called for 10% Early Successional Habitat (ESH). Nantahala and Pisgah have less than 1% ESH today. We would like to encourage all sportsmen to get involved with the revision of the Nantahala and Pisgah National Forests Land and Resource Management Plan. It is crucial for sportsmen to let their voices be heard during this process. The revised plan will guide management for the Pisgah and Nantahala National Forests for the next 15 years. Habitat is the basis for our wildlife populations so it is very important that sportsmen are at the table. We have a great opportunity to influence the plan and we hope you will take this opportunity to do so. THESE MEETINGS ARE PERHAPS THE MOST CRUCIAL MEETINGS so far, as the Forest Service is beginning to define their management areas. This sets in motion what they can and cannot do on USFS lands in particular locations for the next 15-20 years. We want to keep options open for wildlife management. Each of the scheduled meetings will be from 4:30-7:30 p.m., will follow the same agenda and present the same information and opportunity for review and comment. YOU DONT HAVE TO ARRIVE AT 4:30  YOU CAN DROP IN ANY TIME TO MAKE COMMENTS ON MANAGEMENT AREAS. Please email the Forest Service in support of active management for wildlife to help our deer, turkey, grouse, etc! A comment titled: Congratulations in response to a report titled: My 2nd double brow tine buck! Congratulations! That's an awesome and a great deer! First meeting is tomorrow in Mills River! Supporter of wildlife management on our public lands.